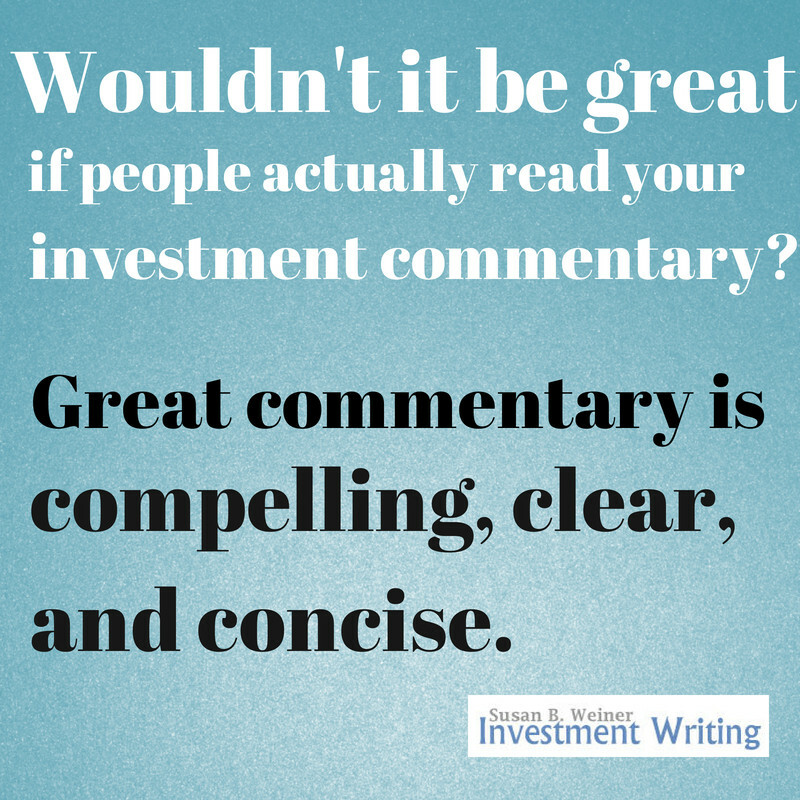 Investment commentary is a focus of my writing, editing, and teaching. 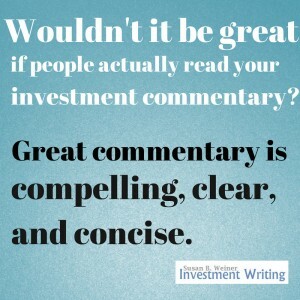 To help people get a quick idea of what’s most important about writing investment commentary, I’m sharing my investment commentary top posts. Click on the headings to read the posts that I’ve selected. 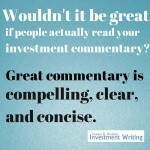 If you’d like to read more of my classic investment commentary posts, buy my mini e-book, Investment Commentary: Best Tips From InvestmentWriting.com. 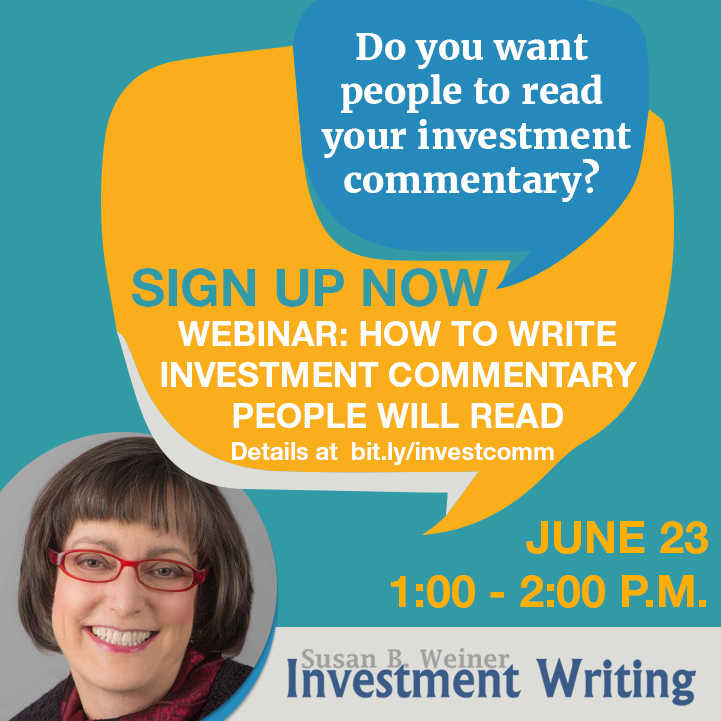 You can also get advice directly from me on my upcoming webinar, “How to Write Investment Commentary People Will Read” on June 23, 2016. There’s an industry consensus about what makes for the best quarterly investment letters. My survey research says that they are “meaningful, specific, and short.” You can’t simply spout what everyone else is saying. Put some spin on the content so it supports a point of view that’s relevant to your target audience. Don’t drone on and on. It’s so frustrating when you slave over a piece of investment commentary only to find after publication that a wrong number has sneaked into your piece. I was mortified when this happened to me. As a result, I’ve developed a system for minimizing the number of errors that sneak through. I share my system with you in this post. Unfortunately, it takes time to get things right. There’s no substitute for careful proofreading. Even with careful proofreading, you’ll sometimes have problems. For example, sometimes index providers revise their numbers for index returns. You can’t help that. 3. Are financial predictions too risky for investment commentary writers? Should you make predictions in your investment commentary? 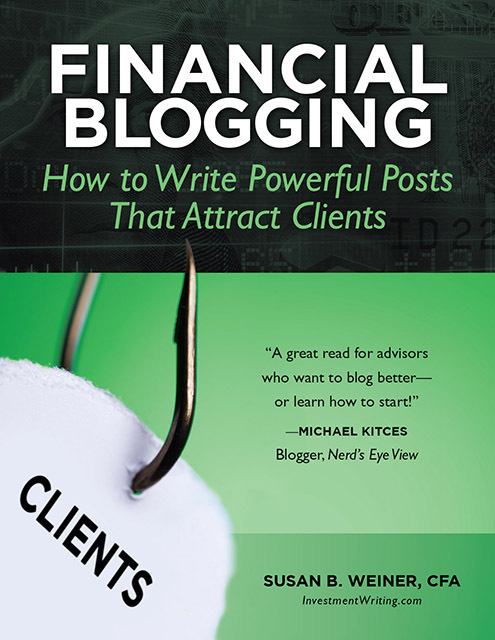 In this post, I argue that economic and market predictions can help by giving readers insight into the way that you and your firm think about investments. Of course, proponents of index investing—and similar styles, such as evidence-based investing—may skip predictions on principle, as my friend, writer Wendy Cook once suggested in conversation with me. However, even for those investors, I believe there’s some value to interpreting what’s happening in the stock and bond markets. Learn an investment commentary process in my webinar! I’ll teach you how to achieve the 3 Cs of great investment commentary in my webinar.